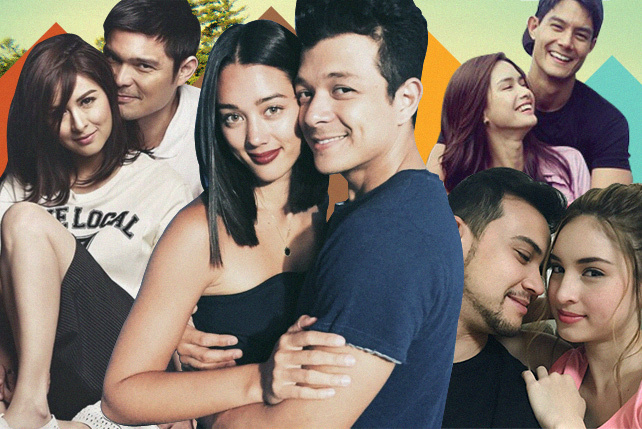 This week's must-see parties, gigs, events. 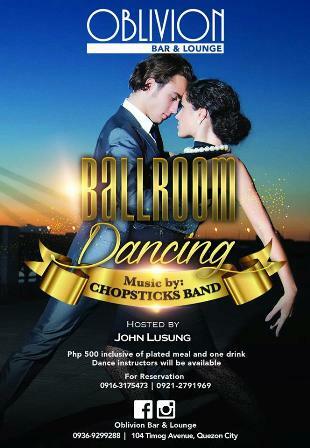 Why you should go: Have some ballroom dancing fun! Dance instructors will be available on the dance floor, so be there early. First timers are welcome! Other details: Get in for P500, inclusive of plated meal and one drink. For reservations, contact 0916-317-5473 or 0921-279-1969. Why you should go: Get your weekly dose of fun at And Then Some's soft launch and party with DJ Jena, Nix Damn P, and Ace Ramos. 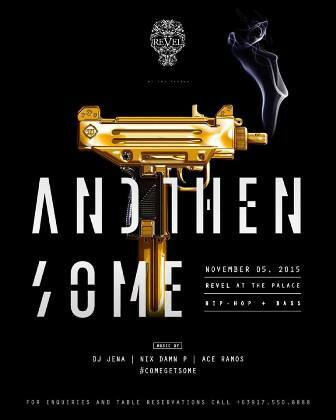 Other details: The night starts at 10 p.m. For inquiries and table reservations, contact 0917-550-8888. Why you should go: Pangaea will be celebrating the Spectre movie release and the Limited Edition Spectre Bottle Collection from Belvedere Vodka! 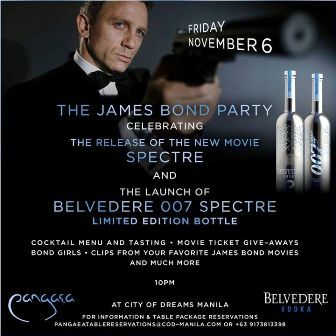 Party on Friday with their first themed party inspired by James Bond. Who knows, you might just win movie tickets! Other details: Party starts at 10 p.m. For VIP table reservations, contact 0917-381-3398 or e-mail PangaeaTableReservations@cod-manila.com. 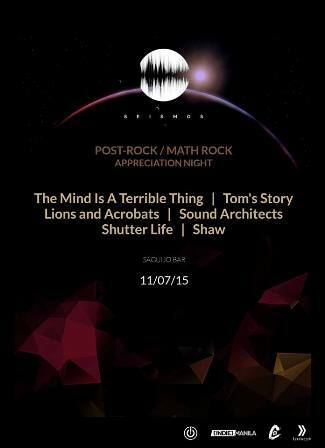 For guest list reservations, e-mail pangaeamanila@yahoo.com. 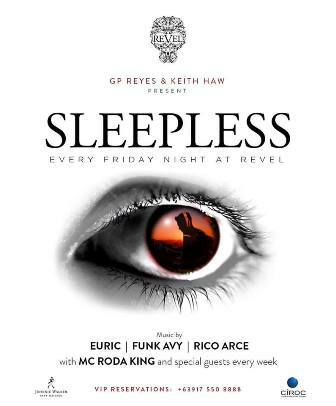 Why you should go: Party with Euric, Funk Avy, Rico Arce, with MC Roda King every Friday night! Other details: Party starts at 10 p.m. For inquiries and table reservations, contact 0917-550-8888. 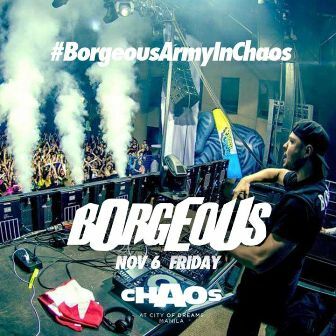 Why you should go: Because Borgeous is enough to cause Chaos on Friday at Chaos! Don't run and hide, this will be the right kind madness for sure! 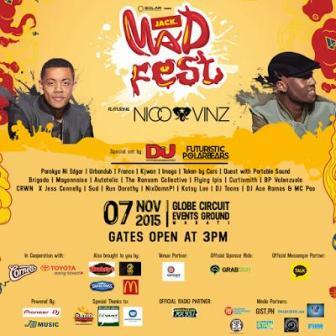 Why you should go: Music, arts, and dance await you for this year's Mad Fest, headlined by hip-hop duo Nico & Vinz and dance music group Futuristic Polar Bears. There will also be awesome OPM acts such as Parokya ni Edgar, Urbandub, Franco, Kjwan, Imago, and more. Other details: Gates open at 3 p.m. Tickets at P500, available in TicketWorld outlets and TicketWorld online. Why you should go: Get ready for the third installment of Seismos featuring The Mind Is A Terrible Thing, Tom's Story, Lions and, Acrobats, Sound Architects, Shutter Life, Shaw. Band merchandise will be available at the venue, as well as artwork by Ches Gatpayat. 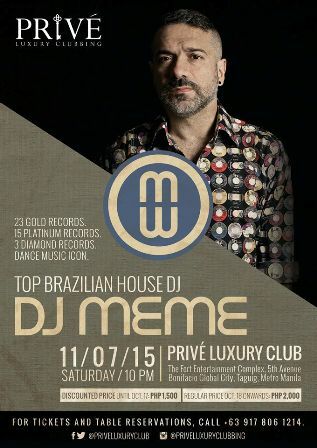 Why you should go: For one night only, Brazil’s house music legend, DJ Meme, will perform on Prive this Saturday! Other details: Doors open at 10 p.m. Tickets at P2,000 inclusive of two drinks. For tickets and table reservations, contact 0917-806-1214. 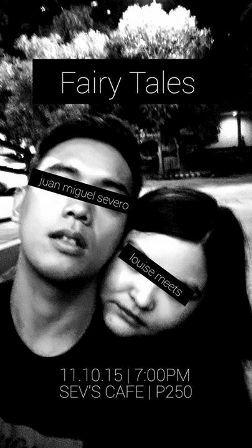 Why you should go: Ready your feels for another hugot night with spoken word pros Juan Miguel Severo and Louise Meets. Other details: Event starts at 7 p.m. Get in for P200. Tickets available here. 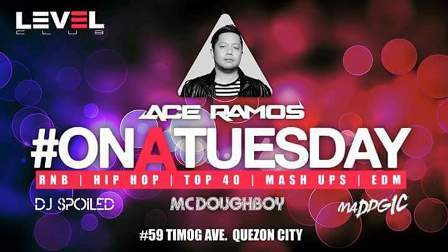 Why you should go: Party on a Tuesday night with DJ Ace Ramos! Free-flowing drinks for all the ladies until 12 a.m. and enjoy Bacardi Bottles for P1,200. Other details: Party starts at 9 p.m. For inquiries or table reservations, contact 0926-724-3068.